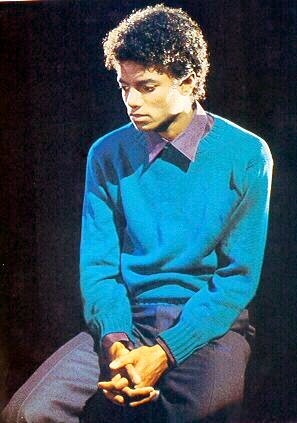 Michael Jackson was exactly thirteen months older than I. As a young kid growing up in the 1970's, Michael and his brothers were Positive Role Models for me and thousands of other Black children of that generation. No disrespect to his present-day fans, but there's a Special Connection people my age will ALWAYS have to Michael Jackson... Before MTV, before the videos, before "Thriller," we saw his genesis as an Entertainment Legend. We were there from the early days of "Big Boy" and "Zip-A-Dee-Doo-Dah." We witnessed the Purity of his Soulfulness on the Hollywood Palace, Soul Train, American Bandstand and Sullivan. 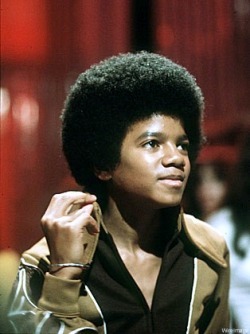 We came of age with Michael Jackson. As I watched his memorial service and heard everyone speak about how how global Michael was (and he was), I'm MOST PROUD that this gifted BLACK MAN was a product of OUR Community... A Brother who represented and respected his culture and (musical) history. Michael always knew and aknowledged that his extraordinary talent was GOD-Given. He also knew that he came out of a tradition of exceptionally gifted Black artists, who paved the way for his phenomenal success. He borrowed from the history they created and became the most successful entertainer who ever lived. Michael Jackson was a constanct reminder to the world that Black performers are the most talented people in the universe!!! For more than four decades, He proudly and responsibly carried forth the legacy of what we know as Soul and R&B Music -- And In doing so, paid homage to those upon whose shoulders he stood. Admittedly, Michael Jackson's death impacted me more than I realized it would. Perhaps it's because with his passing, a part of my own childhood died -- that part that was filled with hope,inspiration and enthusiasm. Creating this website is, perhaps, some cathartic way of dealing with what has been such a surreal event. And yet, for me, there's an even more compelling reason. With all due respect to the title, "King Of Pop," we should never forget Michael's contributions to Black Music, simply because the term "Pop," sounds a little less "ethinc/Black" than does R&B and Soul. Black Music is part of Black History...Soul and R&B Defined the Music that Defined the Black Experience and Our Culture. The terms are too important for us to simply dismiss. I realize that for some, the terms "R&B" and "Soul" are "too restricitive." But these are the words that defined a sound borne out of the tragedy, triumph, joy and sorrow of the Black Experience. Our Gospel, Blues, Jazz and Funk and even, Hip-Hop, are culminatated in the music we call Soul. I can no more refer to Michael Jackson as simply a "Pop" singer, anymore than I could James Brown, Aretha Franklin, Jackie Wilson Sam Cooke, Bessie Smith Muddy Waters or Louis Jordan. Soul/R&B music is too meaningful and fortifying to be homogenized or watered down. Black Music Sings and Plays our Black History and Culture. My intent, with this site, is to celebrate Michael's Life & Music, as an R&B/Soul Artist, because he never abandoned the love and respect he had for this genre of music and the people who created it. He acknowledged James Brown, Jackie Wilson and Joe Tex as musical influences, whenever the opportunity arose. I hope this site does justice to Michael's Musical Legacy, and in some measure, to Our own History and Culture. It's Important To Remember That Michael Came Out Of A Cultural Experience That Produced Generations of Gifted & Extraordinary, Black Entertainers!